WATERLOO – Canadian aerial photographer Louis Helbig will speak at Wilfrid Laurier University’s Waterloo campus on Thursday, Nov. 12. His talk, “Beautiful Destruction. The largest industrial project on earth. Climate Change. Petroleum. The Dilemma of Our Time,” will uncover how he uses art to create a forum about Canada’s oil and tar sands. 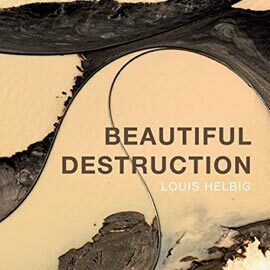 Helbig is an internationally acclaimed, Ottawa-based author, photographer and artist, known for his work in his photo book, Beautiful Destruction – Alberta Oil/Tar Sands. The book includes reflections from opposing Canadian voices on the subject, including Elizabeth May, Ezra Levant, Chief Dëne k’odheré, environmentalist Bill McKibben and others. The event, spnsored by Laurier’s Department of Global Studies and the Laurier Bookstore, will be held on Thursday, Nov. 12 in Laurier’s Paul Martin Centre at 4 p.m. and is open to the public. Copies of Beautiful Destruction will be available for purchase.